Senior writer jclombardi reports FB Kuhn, NT Raji, RT Bulaga & QB Flynn news. Kuhn becomes roles player: “Mr. 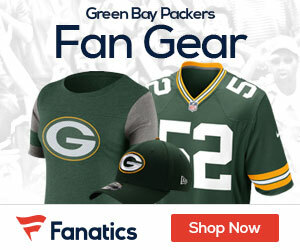 Versatility,” Bennett said before offering several reasons why he believes Kuhn has earned that label during his fourth season with the Packers. “When it’s time to jump in there and play fullback, he’ll go in and block. You talk about a guy that’s capable of doing anything from a blocking standpoint, running the football as well as receiving it out of the backfield. But also a guy that you can trust more than anything. “You’ve got a guy you can put in any situation and he’ll respond.” Packers coach Mike McCarthy called last week’s 31-27 loss to the New England Patriots the best game of Kuhn’s career. He carried the ball six times for 21 yards and set career highs with three receptions for 27 yards, including a touchdown. Kuhn has 74 carries for 259 yards and 12 receptions for 83 yards. Three times during the game, the 6-foot, 250-pound Kuhn hurdled New England players en route to gaining a first down. He also made nifty moves to elude defenders on a six-yard touchdown reception in the third quarter and a nine-yard reception in the red zone on the final play of the third quarter. Until this season, Kuhn was seen as a short-yardage back with a conversion rate of 85.7 percent (6 of 7) on third-and-1 plays that’s tied for 10th in the NFL. But both Bennett and Philbin raved about Kuhn’s instincts as a runner in the open field. Bennett used the word “passion” to describe Kuhn’s running. NT Raji Pro Bowler? : Raji’s disappointing rookie year spawned a second season that could have him on the brink of cracking into the NFL’s elite. A NFL scout who has watched extensive tape of the Green Bay Packers said recently that Raji’s improvement has rivaled that of tight end Jermichael Finley. And that was before perhaps the best individual performance of Raji’s young pro career last Sunday at New England, when he had six tackles (five solos and one for a loss), a career-best two sacks, two hits and a pressure. That showing, which came on the NBC Sunday night prime-time game, was the final image Pro Bowl voters would have in their minds when they filled out their ballots this week. Here’s Raji’s case for the Pro Bowl: He leads all NFL nose tackles with 5½ sacks and leads all Packers’ defensive linemen with 58 tackles. The Pro Bowl is also about name recognition, and Raji entered the league as a known commodity and was the ninth overall pick in the draft even though he was somewhat of a disappointment as a rookie. Having a full offseason and training camp has helped Raji immensely. Rookie RT Bulaga tackles mistakes: At 21, Bryan Bulaga is the youngest player on the Green Bay Packers’ roster. He only has 10 professional starts under his belt. All are valid excuses, it would seem, for the mistakes Bulaga made on the critical final series of last week’s 31-27 loss to the New England Patriots. But none of them are being used to exonerate the rookie right tackle. “You’re a rookie for X amount of time,” Packers offensive coordinator Joe Philbin said. “But now it’s Week (16) of an NFL season and we’ve got to get guys to step up and perform better.” Packers offensive line coach James Campen was asked Thursday if Bulaga, a first-round pick, is given any leeway because he’s a rookie. “Zero,” Campen said. “Whoever’s out there playing gets zero leeway. It doesn’t matter if you’re a rookie or not, you have to do your job and mental errors are inexcusable.” If you think Bulaga’s coaches are tough on him, you should hear him analyze what happened in the final minute-plus Sunday at Gillette Stadium.